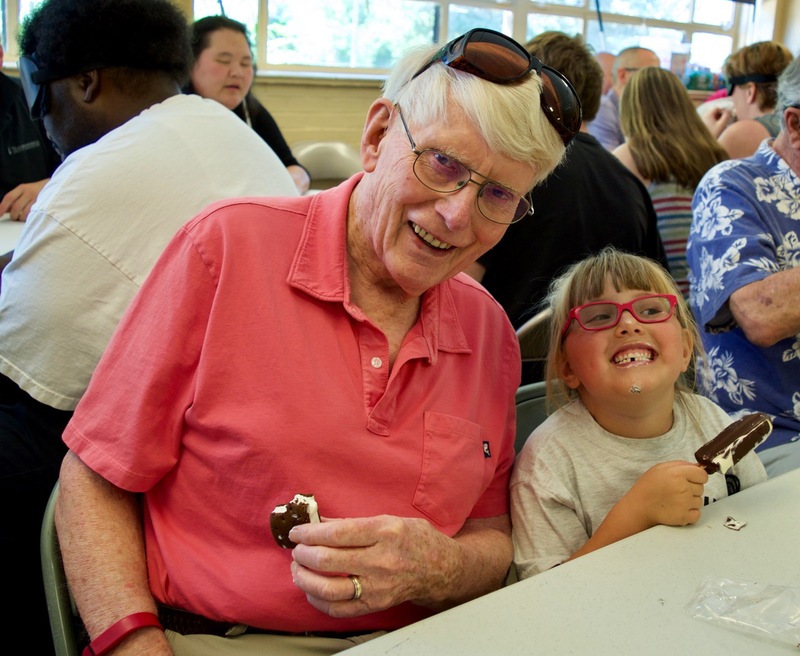 You better hurry up and eat that before it melts,” Senior Ron tells Confidence Camper Peiton at the Ice Cream Social this morning. 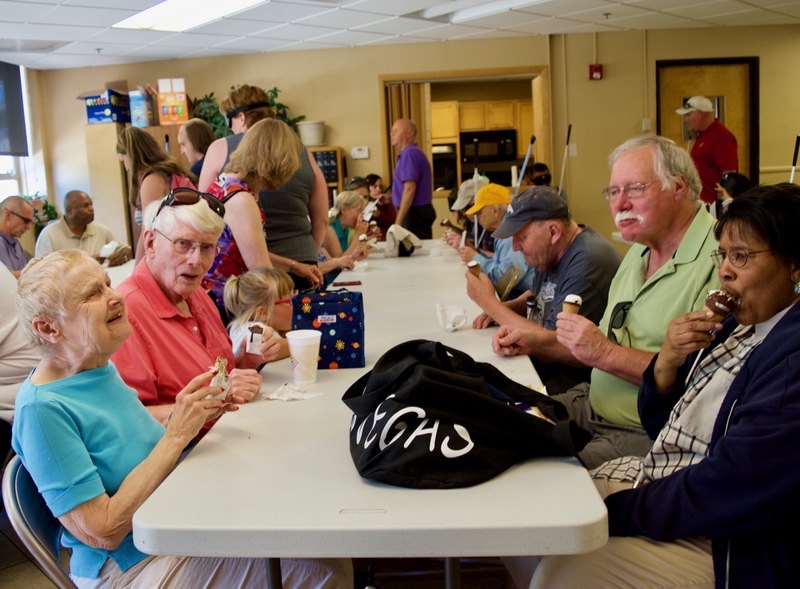 About 90 people collected in the meeting room on a 95-degree day to share a little summer society. 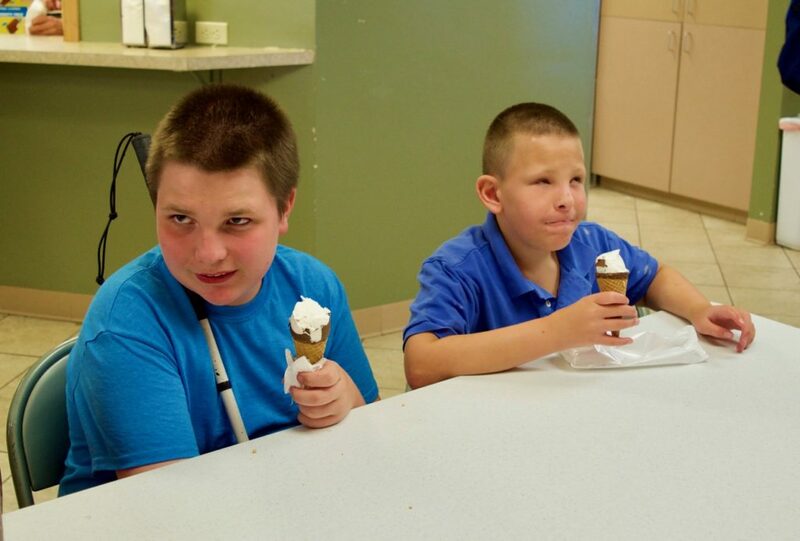 It was cCB’s annual Ice Cream Social, ranging from Confidence Camp kids as young as 6 to Seniors who declined to reveal their ages, and all of the staff and students of our middle school, high school and college bound students and Independence training Program. 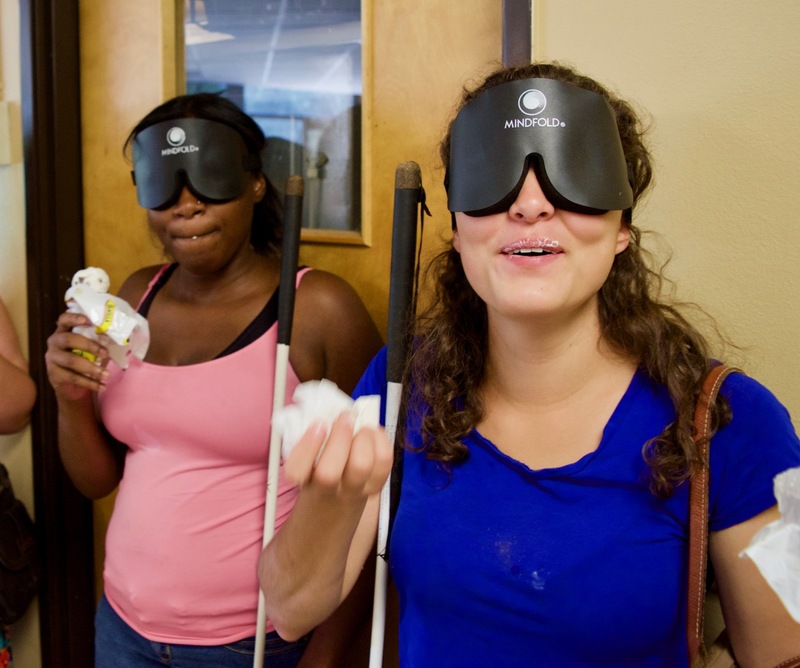 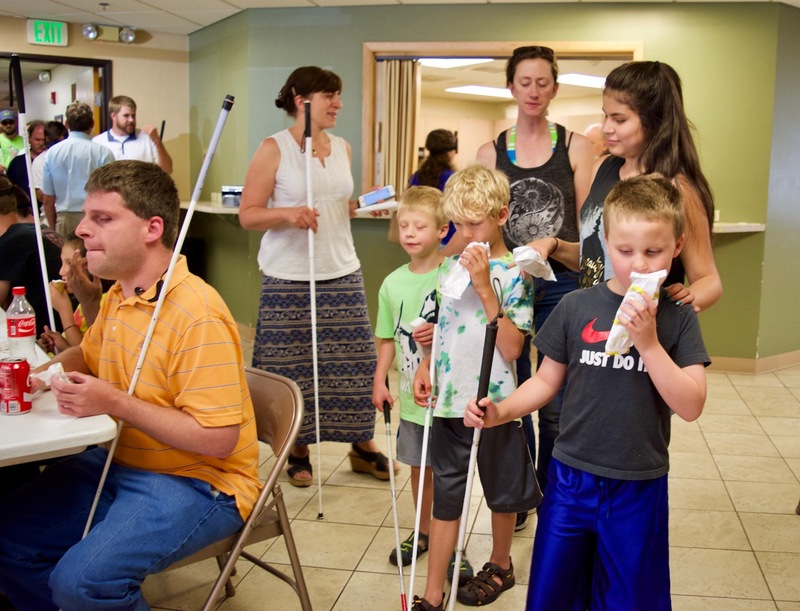 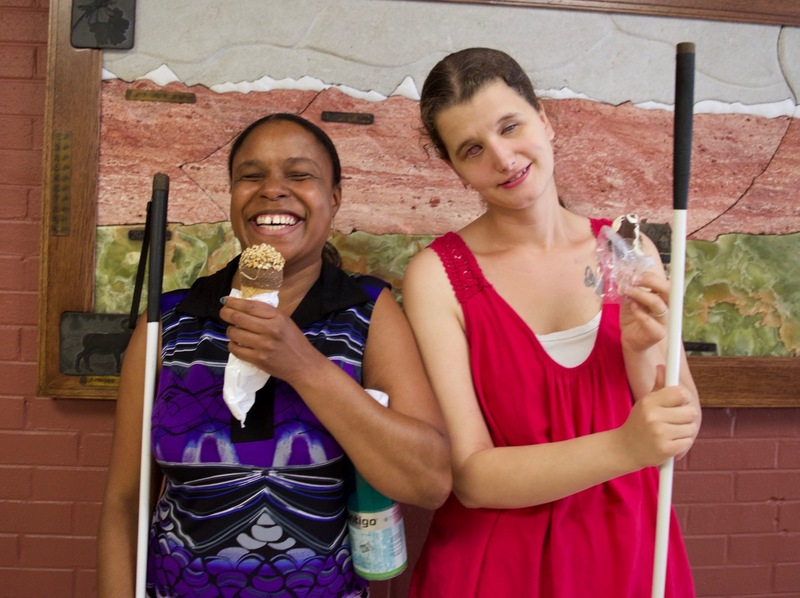 What they all had in common was blindness and the determination and desire to take charge with confidence, and today that meant taking charge of a drumstick or ice cream bar!